Back in the day (the Civil War) naval vessels were outfitted with state of the art Dahlgren guns (nicknamed Soda Bottles from their distinctive shape), which could lob a shell close to 2 miles in distance. The North used to heat those shells until they were red hot and fired them into the sides of Confederate ships, which would set them ablaze. As cool as cannons are, owning one is incredibly expensive and ammo is tough to find, however making one at 1/9th the scale is a lot cheaper provided you have the tools. 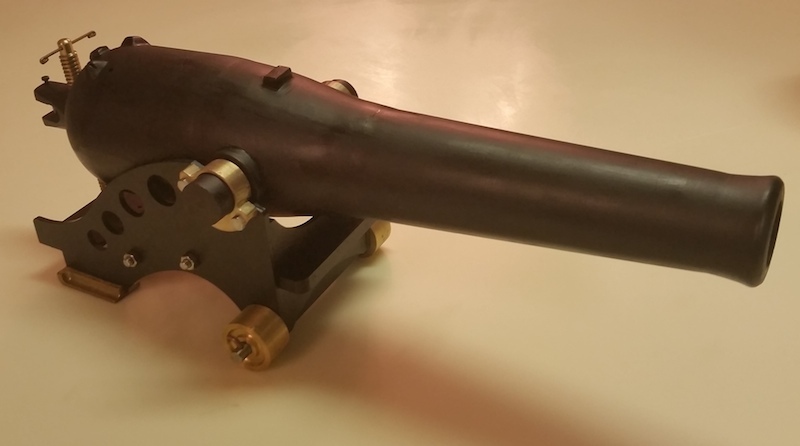 Imgur user [Jefenry] designed his Dahlgren cannon using 4130 seamless alloy stainless steel with a 1-inch bore. The barrel fits snugly into his steel carriage with brass wheels, which was laser cut for an exact fit. 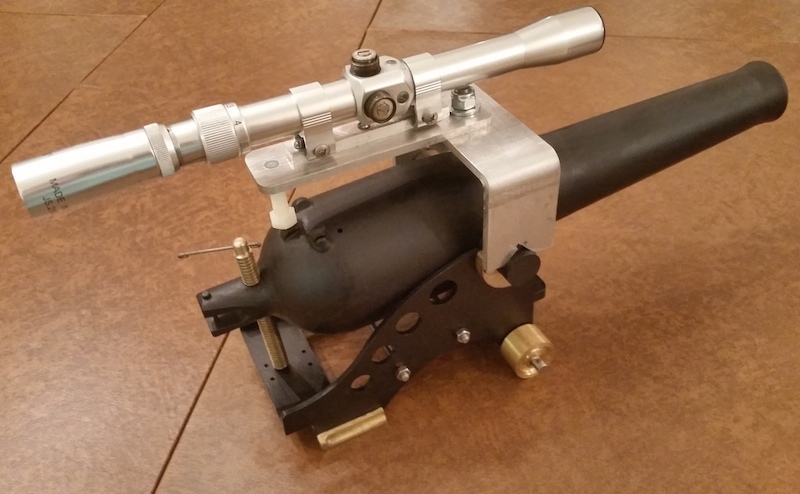 Elevation is adjusted using a simple screw and sighting in is accomplished with a detachable scope. The scaled down Dahlgren cannon complete with ball bearings and black powder. 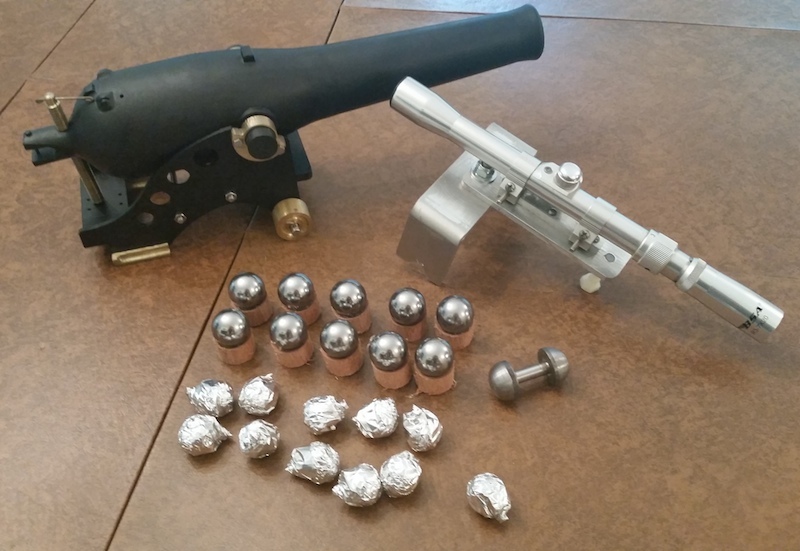 Jefenry made his own shells using steel ball bearings, which are fired using 100-grains of black powder wrapped tightly in tin foil so there’s no accidental discharge when lighting the fuse. To test out his cannon, Jefenry took to the firing range where he systematically obliterated a watermelon. Yep, his cannon is no toy, can injure a person in the same fashion as a firearm and should be treated as such. To see the complete build process head over to Jefenry’s imgur page.